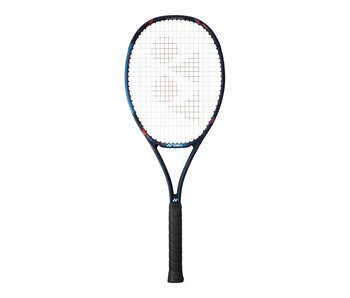 Accessible to intermediates, the VCORE Pro 97 (310g) is a control oriented frame with a big sweet spot which gives us the forgiveness with off-center hits that Yonex is known for. 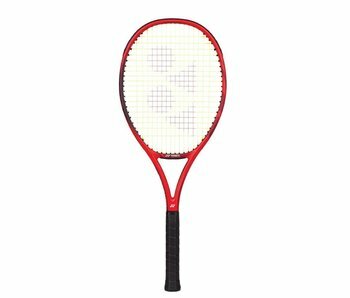 Yonex has created one of their best racquet lines ever in the new VCORE series. 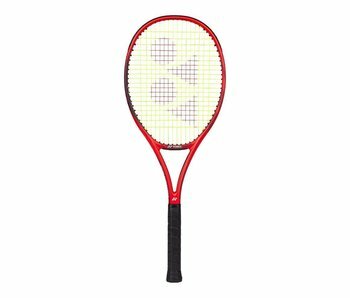 The VCORE 100 (280g) is the most player friendly option in the series having the largest head size and lowest weight of the line. The VCORE 98 is, perhaps, the most precise, powerful and spin friendly 98 sq. in. head sized tennis racquet on the market. The VCORE 100, in 300 gram weight, comes with all the power and spin today's modern game demands. This VCORE is the heavier of the two 100s in the VCORE line, giving you greater stability and plow through.